﻿Australia ﻿and its offshore islands and territories have 898 recorded bird species as of 2014. 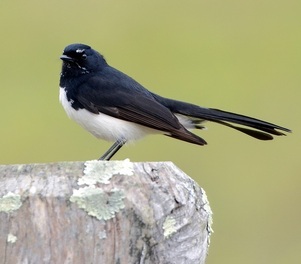 Of the recorded birds, 165 are considered vagrant or accidental visitors, of the remainder over 45% are classified as Australian endemics: found nowhere else on earth. The most common causes for injuries to birds are collisions (either with windows or motor vehicles) and cat attacks. If you find an adult bird on the ground and it does not fly away when approached, there is something wrong with it. If possible, approach the bird slowly, then, if confident carefully cover it with a towel and pick up. Remember to always handle gently as you do not want to cause it pain or further injury. The bird will be very frightened and may react defensively so keep its head covered as this will reduce its stress and also help prevent it from biting. Otherwise cover it with a covered laundry basket or box until help arrives, and leave it quietly. A cardboard box with holes in the side and thick towel on the bottom will create a dark, safe place for the bird to rest, keep the feathers clean and stop it sliding around. The box should be of a size that the bird can fit in comfortably, stand upright and turn around. Make sure the lid is securely fastened. Do not attempt to give the bird any food or water. Place the box in a warm, dark and quiet room and call Wildlife Rescue South Coast or your local wildlife rescue group. Chicks and fledglings who are just learning to fly often find themselves in trouble. Sometimes they are injured or they may simply be exhausted from their first flight and end up on the ground. Some such as magpies and tawny frogmouths actually leave the nest and naturally spend many days on the ground before flying. 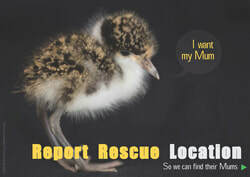 If you do find a chick on the ground, please place it in a box as described above and call Wildlife Rescue South Coast for assessment advice. In most cases, it can be returned to its parents, who do a much better job than we can! Please remember to always write down the exact location of where the bird was found as most birds are territorial and will need to be returned back to their home area when released. · Some birds have very special food requirements, and in NSW, you may NOT keep any native bird or other wildlife (even if it is sick). · When using snail bait you are poisoning not only the lizards' food source but also the birds'. 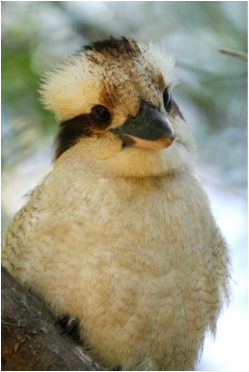 · If you use mice and rat bait then you could also be poisoning Kookaburras, Tawny Frogmouths, Raptors and Owls. · You need to contact a local wildlife group like Wildlife Rescue South Coast or a vet, so the bird can get the best care. · Do not handle birds unless it is absolutely necessary to do so. · Raptors (birds of prey) must be rescued by a trained raptor handler. · Remember that the bird does not know you are trying to help it. Birds can scratch and bite quite hard (especially parrots).